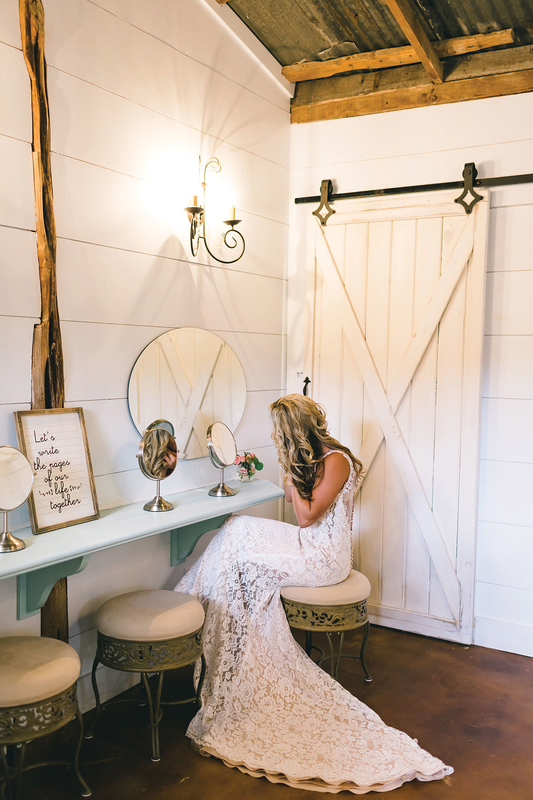 When Tricia Simmons and her husband Stephen drove onto the property that is now the Silo and Oak wedding venue, they knew they had found something special. 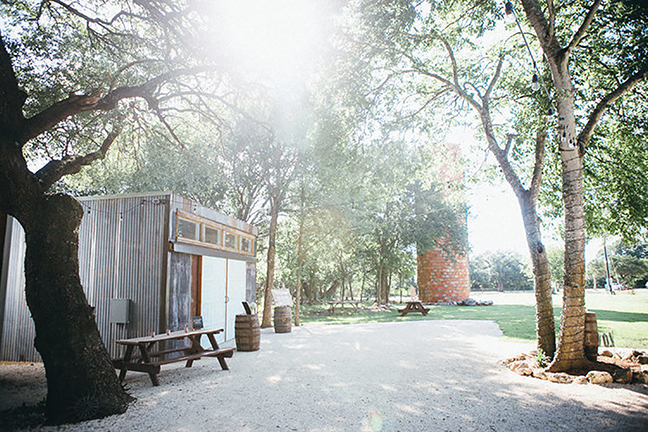 Although the property was showing its age after 100 years as a working dairy farm, a Christmas tree farm and a pumpkin patch, the couple knew that with a little elbow grease and a lot of passion, they could turn this piece of Central Texas into a beautiful wedding venue. They began their wedding industry journey when Stephen, an ordained minister, began performing weddings in the Hill Country area. “After 10 years of officiating weddings at over 150 venues, we learned a lot,” Simmons said. 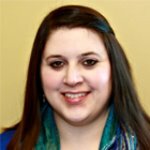 The former marketing professional said it was a natural progression for her and her husband to consider opening their own venue, but they knew they wanted their location to be different from the rest. “During our years in the industry we saw a lack of options at an affordable price for couples who desired an intimate wedding,” she said. The Simmons realized there was a need for a venue that not only offered a space for small weddings, but actually catered to them. So, the couple and their two daughters set to work creating a charming country location specifically for these brides and grooms. They named the venue Silo and Oak after the large brick silo that stands in the center of the property, and the mature oak trees that provide shade and beauty. They hosted their first wedding in February of last year and officially opened in March. “Though to a much smaller degree, we’re still under construction because we’re constantly improving and making it better,” Simmons said. The venue is an indoor and outdoor setting with multiple ceremony sites including a chapel that the Simmons built from the ground up. And although its purpose was originally to provide a space for weddings in case of rain, many brides and grooms have fallen in love with its rustic elegance. 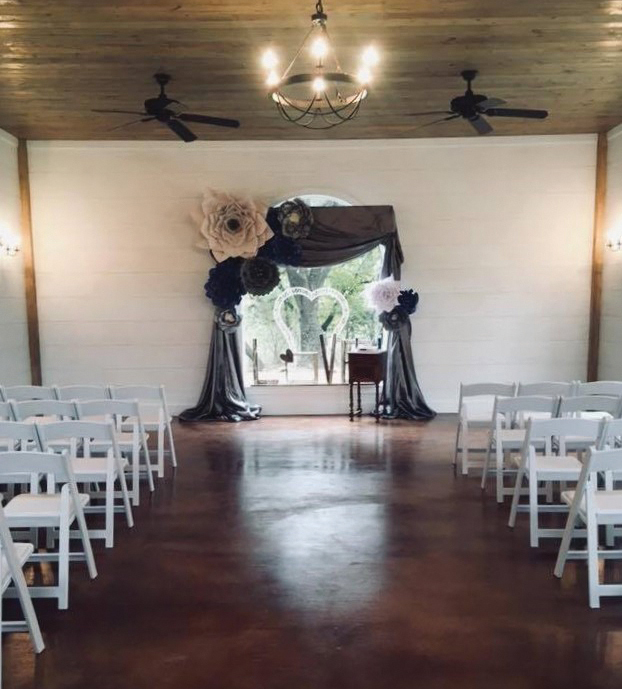 The property also includes a dance hall and a refurbished barn that houses the bride and groom suites, the restroom, and the Watering Hole, which is a great place for bartenders to set up shop. To find out more about Silo and Oak, visit their website at www.siloandoak.com.